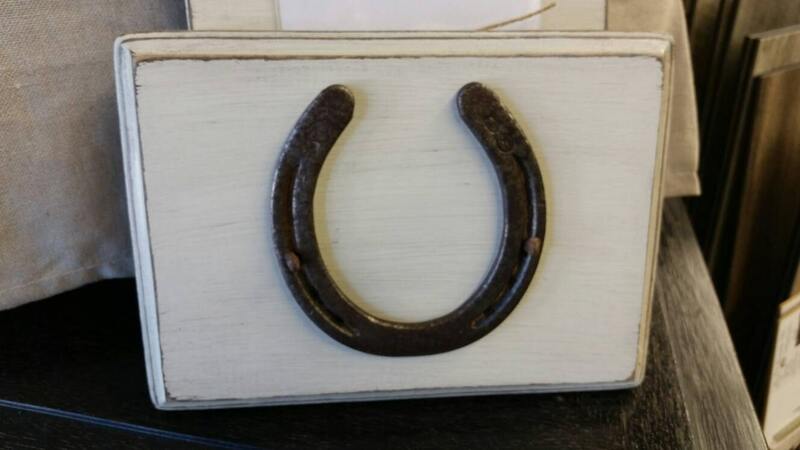 Lucky Vintage Horseshoe mounted on distressed painted wood with nails - Great House Warming Gift. 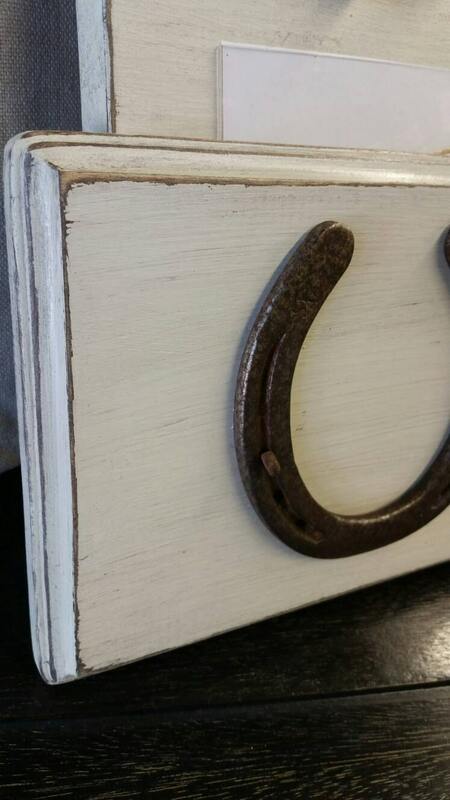 Painted Oyster White and distressed. 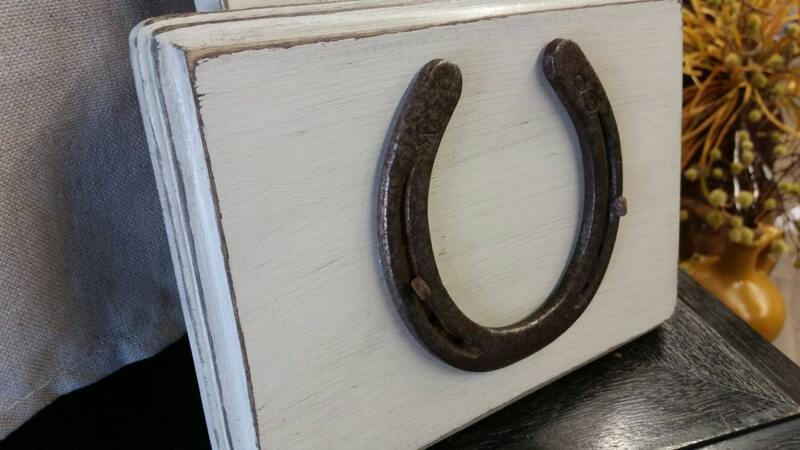 Has a metal hanger on the back for easy installation.